We had quite the storm whip through here and it blew a number of our shingles off. 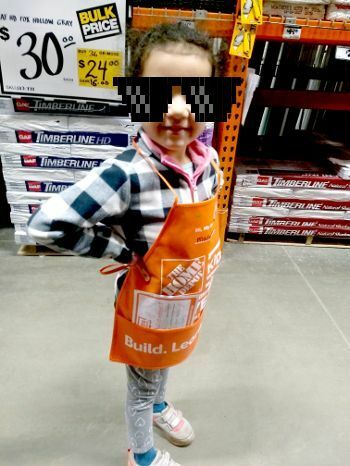 Our roof started leaking, and I explained to my daughter that someone was going to come install a new roof. After hearing this, she exclaimed: Daddy! It will be so fun to see the sky and stars while we are inside! 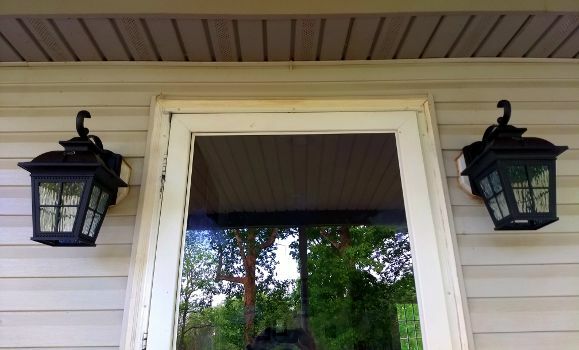 I quickly realized that instead of simply replacing the shingles, she thought they were going to take off the ceiling as well! Painting Daddy’s Truck The other day, the kids were playing outside in the mud. When they came back in and we asked if they had fun, they happily exclaimed: Yes! We painted Daddy’s truck! How can you get mad at that face? 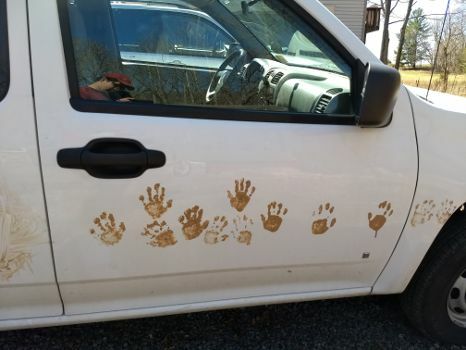 I went outside and they had used mud to finger paint all over the truck. I think it is fantastic.